The best stretching routines in this program, for me, are dancers pose which stretches my quad muscles and the prayer squats that allowed me to stretch my back, hamstrings, and kneck. Several of the moves are yoga moves. At the end of this page you can watch a brief (8 minute) stretch video containing some static and ballistic stretch moves. The moves in Body Gospel Stretch In the Spirit are considered rhythmic stretching routines. Today's topic was "For God Not Man" and the scripture used today is Colossians 3:23 -"And whatever you do, do it heartily, as to the Lord, and not to men." The daily tasks involved with eating right and exercising can sometimes seem overwhelming. There are days when we just don't feel like it. 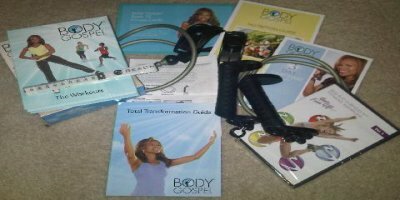 It is during these time that we mus think of our health and fitness journey as something that we are doing unto God. When we think of it as something we're doing to praise and glorify him, we remove our self and the opinions of others from the equaition. Sometimes the best motivation for getting through a task that you don't want to do is to think of it as something you are doing for God. You love and appreciate Him so much that you want to please Him and this gives you a little extra push. 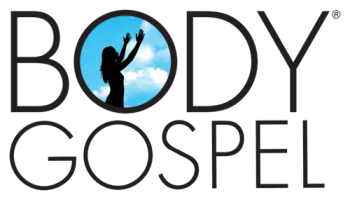 "Lord I dedicate my Body Gospel Journey to you. Thank you for giving me this body for which to strengthen. I offer it as a gift of thanks to you." Relax. Allow your body to get the benefits of stretching. After 11 days of workouts, your muscles will begin to need the stretch more than ever. Especially after incorporated the interval training workouts. My abs, back, calves and hamstrings all needed a good stretching this week. I concentrated on the moves, relaxed, and breathed through the stretching routines. After only 10 minutes, I felt more relaxed. Be blessed and See you tomorrow!